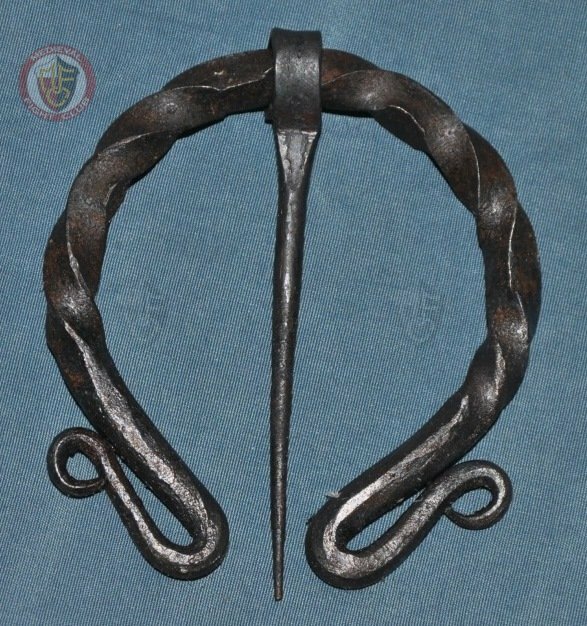 Penannular c loak pin with elaborate wrought iron twists and curls. All weights & measures are approx. Each item is unique as they are all handmade.